We have had a very successful and action packed term in PE. 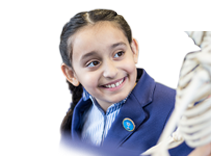 The children have benefited from our Specialist teachers in lesson and clubs, and have been given a wide range of opportunities out of lessons. The addition of Miss Sanders as our gymnastics teacher has enabled all of the children in Year 1-6 to really make progress with their skills and benefit from her expertise. She has been very impressed by the children’s attitude and determination to improve their individual skills. Mr Kenan has been teaching the Year 1-6 children tennis, basketball and tag-rugby in lessons and developing basic games skills for the EYFS’s children: notably their throwing and catching. Lessons with Mr Sanders have been games based and have seen all of the children develop individual skills, and then implement these in actual games situations. 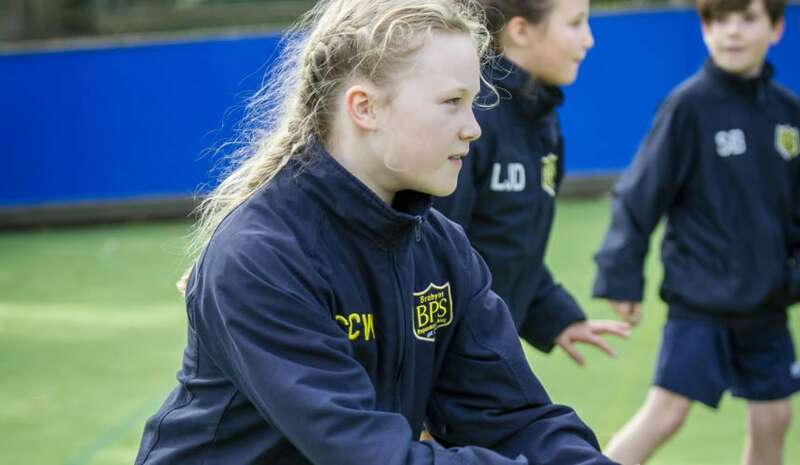 Sports covered have been High-5 (Netball), Football, Dodgeball, Skittleball, Palaceball and Benchball - all great for establishing the tactics the children need to successfully play a team game. One of the other key areas for the children has been focusing on the set rules and instructions for each activity, and ensuring that they are able to follow these. This is of great benefit for their learning in PE and all areas of life. In our swimming lessons (with our 3 specialist swimming coaches) the children from Years 1,2,3 & 5 have all shown progress in their strokes and confidence and have again demonstrated a great determination to improve. Next term will see Year 4 and Reception have their lessons, in addition to Years 1,2 & 3. Swimming is an area we know our children are well above the national standard for their age and an aspect of sport that we place such importance on to ensure they can be safe around water (especially in light of where we live, with so many canals around us). Our lessons also give the children the skills and confidence to be able to enjoy all the various water activities on offer. We are excited that next term will see the return of ski club and two new clubs – Judo and Dodgeball. Our aim is that during the year, every child in the School will have participated in at least one sports club. At Brabyns we believe competition is an important part of life. 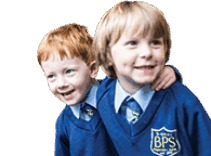 It is something we embrace and ensure that the children are equipped with the skills needed to always do their best and deal with success – particularly at times when others out-perform them. Our inter-house competitions and School fixtures help us to cultivate this. The term has seen all of our teams have success. These have included: our Basketballers coming 4th in an ISA North competition, many individual medals won in the Swimming Galas we have entered - with a silver in the ISA North Gala, our High-5 teams coming first and second in a recent festival, and a first ever tournament for our contact rugby team. The children have had the chance to take part in various inter-house tournaments, with Arkwright currently leading the way in these. Our Junior Cross-Country was a wonderful event that saw all the children really give the course their very best effort, producing some fabulous runs. For some of the children it was their competitive debut in this area, and so far we have had 41 different children represent the School. 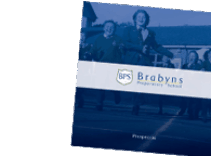 One of our aims is that every child before they leave Brabyns represent the School at least once at one sporting event, and we are on track to ensure the children achieve this. One of the highlights has been seeing the children’s team spirit and sporting attitude. It has been commented on in so many of the events; including on one where a teacher specifically came to tell us how amazing our spirit was, as well as our behaviour. This is incredibly important to us at Brabyns in all aspects of School life to ensure we do our very best, but do so in the right way. Our superb Sports Captains have been a big part of this, leading us with distinction, understanding and inspiration, again a real credit to themselves and the School. We’ve had a fantastic energy filled term, and look forward to carrying this on in the new year.